Throwback Thursday - Super Mario World Part 2 — GamingWithSwag.com - Dads By Day, Gamers By Night. Super Mario World is a near perfect game. Nintendo knew this had to be true upon release for several reasons. First, the amount of polish put on the previous entry in the series (Super Mario Bros. 3) had now set the new standard for what fans should expect from a Mario game. Fans had been exposed to multiple suits with different powers, worlds with multiple ways to progress, hidden warp whistles, Koopa Kids, airships, and more. The other reason is more simple, Nintendo was getting killed by the Sega Genesis in the United States, and had to have a top tier game coming right out of the gate. They had to make it so you forgot all about the "Genesis does what Nintendon't" marketing, and the lovable Sonic the Hedgehog. 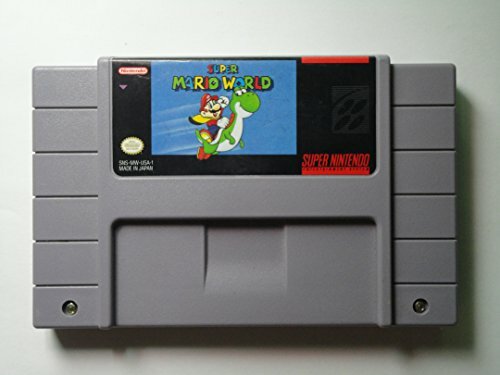 Nintendo had to make it so that the demand for the Super Nintendo was extremely high and to do so, they needed to launch the system with Super Mario World. Nintendo's answer to the Sega Genesis marketing. The Koopa Kids are back and have a few new tricks up their shells! The first thing you will notice about Super Mario World, is that everything seems bigger. The levels, the enemy sprites, the worlds, and the challenge. Instead of retaining the suits from Super Mario Bros. 3, players were armed with only Super Mushrooms, Fire Flowers, and the Cape feather to allow flight and gliding. Yoshi can also be considered a power up, as he is able to eat different colored Koopa Troopa shells and temporarily utilize one of three powers. Fireballs, flight, and a shockwave are all possible depending on the color of the Yoshi utilized or color of the shell eaten. Finally there is a rarely used power called a "P-balloon", which allows Mario or Luigi to inflate themselves and soar high above throughout the level. The Koopa Kids are back, and are better than ever. In Super Mario Bros 3, there were very few things that differentiated between these baddies. But in Super Mario World, players can look forward to a unique castle level where each boss resides, along with a different type of boss fight each time. Speaking of enemies, Super Mario World created some of the most iconic enemies in the Super Mario Bros. universe that are still used in newer games like Super Mario 3-D World, Yoshi's Woolly World, and others today. Enemies like Monty Mole, Wigglers, and Bowser's clown car are now considered standard for Mario and Luigi to encounter whenever Bowser and his minions are involved. Dinosaur Land is massive and full of secrets. The way Super Mario World handles progression is very different than previous entries. As soon as the game begins, immediately the player has a choice to pick a level to the left or the right, with no direction on which one to choose. When first played, this provided a sense of wonder of which path Mario and Luigi should take to advance through the first world. This world design repeats itself throughout the game, and secret exits can be found within levels marked with a red dot. These extra exits (usually discovered with matching a key and keyhole) provide access to secret areas with power ups, different levels only accessible through this method, and access to the elusive Star World. This provides an extra value to the game, as the player now wants to actually replay levels already completed, to find these hidden exits and explore these hidden areas. Just when you thought you were done, the Star Road and Special Worlds open up providing the ultimate challenge. Just when you think it is over, and you have completed the Star Road, a Special World unlocks with some very challenging courses. These eight courses really put the player to the test, to see if they can utilize and master all of the techniques they have learned throughout their journey in Dinosaur Land. Finally, when all 96 exits are cleared (including the hidden ones) the game provides some graphical changes to the worlds, levels, and enemies for a special Autumn themed game. Super Mario World is an easy game for anyone to pick up, learn the mechanics, and master if you have the patience. At no point does the player feel overwhelmed or convinced that they "cannot beat this game". Dialogue boxes provide a bit of extra help, and the levels in Super Mario World are designed to be completed easily, but requiring necessary platforming skills to find that extra key or exit gate. The Kaizo levels you see in ROM hacks and on Youtube don't fit the Super Mario World spirit, as their learning curve is way too steep. The soundtrack is always pleasant and never jarring. Each tune on the soundtrack relates to the main theme in some way. The use of Mode 7 graphical effects like Mario traversing on both sides of a fence, and Bowser's clown car coming at the screen are things that had never been seen before on a home console until Super Mario World. Ask anyone who is a fan of the Super Mario Bros. series who has played the majority of the titles what their favorite game is in the series. 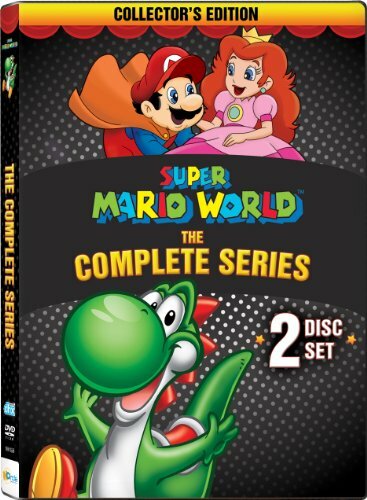 99% of the time it is either going to be Super Mario Bros. 3 or Super Mario World. I personally will go with the latter every time due to the amount of exploration, Yoshi, and graphical and cultural impact the game had on the video game industry.